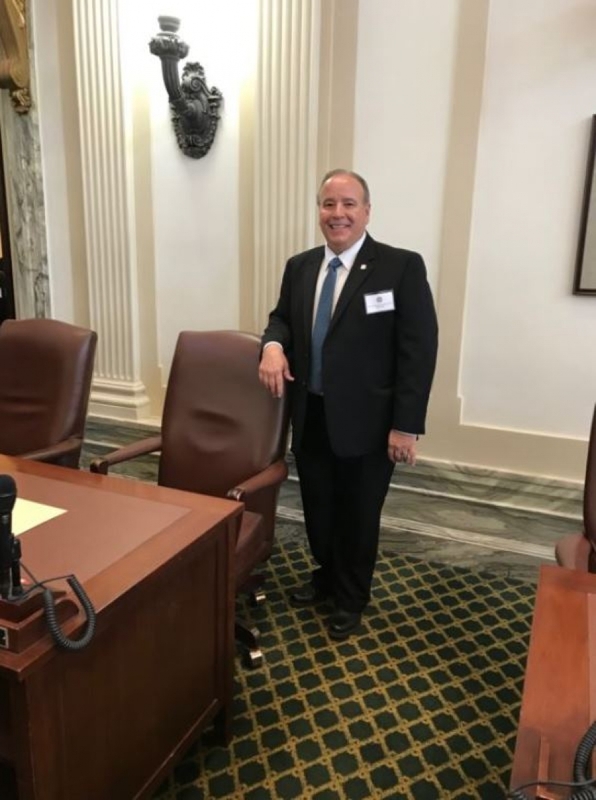 Members of the 57th Oklahoma House of Representatives took the Oath of Office on November 15, 2018. Lundy Kiger (R) from Poteau representing House District 3 was one of the newly elected 46 members of the House to be sworn in. These new members elected helps to create a majority caucus with 76 members. Kiger, who has worked in government relations for the past 23 years and education prior is well acquainted with the process of how the legislative process works but made the following comments.
" No matter how long I've been associated with government relations I was not prepared for the incredible feeling of pride and excitement that I felt walking onto the floor of the Oklahoma House of Representatives, knowing that I'm now representing the people of Leflore County's District 3. It was an overwhelming feeling knowing you have a responsibility of serving, and knowing the people of your District made it all possible. Knowing that the people of my District are entrusting me to this seat is the only motivation I need to propel me through the time I serve our area and state in the House." As each legislator was allowed time to make comments Kiger thanked his wife Samantha, his family and all of his supporters for their outstanding work in both elections, and especially to the voters of District 3. Kiger went on to tell members of the House that he is very transparent and will work to communicate and building relationships in becoming a contributing member of this great team. Kiger will report next on December 3rd and 4th for new member orientation and then again for a caucus retreat on December 10, 11 and 12. He will report for the regular 2019 legislative session on the first Monday of February 2019.